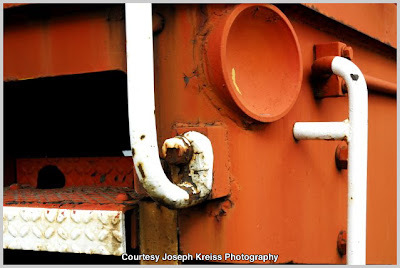 I was studying on some photos of General Motors locomotives, when I got curious about the infamous "push pole pockets" - plates with dimples located at the four corners of rolling stock. I wondered if they were still an option on "modern" locomotives. From what I can ascertain, it appears that Electro Motive Division delivered frames with pole pockets through and including the GP30 road switcher series. Electro Motive Division produced GP30's between July 1961 and November 1963. Sure would appreciate input from you if you can determine when other manufacturers "dropped the dimple." On several occasions, I witnessed "push poling" as a young man riding with switch crews in Prince Rupert (1957-1959). But had never heard a "name" applied to the movement. • As an example, a car had been spotted at the wrong door at Ocean Dock. It was awkward because two other box cars were involved in cargo handling, preventing the switch engine from getting to the errant car. So we moved it, from an adjacent track, using a piece of timber placed between the switch engine and the freight car. • In another instance, poling was done down at Nelson Brothers fish plant. 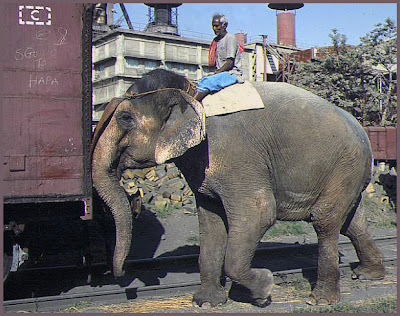 The switch crew used a beam, held between the switch engine on an adjacent track and a tank car, to move it away from a fish oil-loading platform. • Shifting cars around out at the Port Edward Paper Mill, a plank was jammed between the switch engine and a car to move it out of a siding, so it would be behind us going to another siding. As I recall, this was done to avoid a "flying switch" movement out onto a pier. The guys never described what they were doing as being "a dangerous push poling movement!" 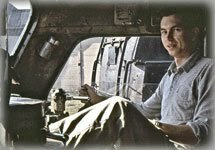 As I recall these events, the crew took their time, communicated what they were doing, and gave constant feedback to the Engineer. They plainly did what they had to do to get the job done and move on to other assignments. Clearly, the event was "a non-event." "Push-Poling Pockets" on the front and rear facing corners of freight cars and locomotives are dish shaped, about 6 inches in diameter and about 1- 1½ inch deep. They could be made of cast iron or pressed steel and affixed with bolts to the body of a freight car or cast directly into the frame. Often they were "offset" at about 45°. Three components are necessary for a "Push Pole Movement." • A Push Poling Pocket on the locomotive. 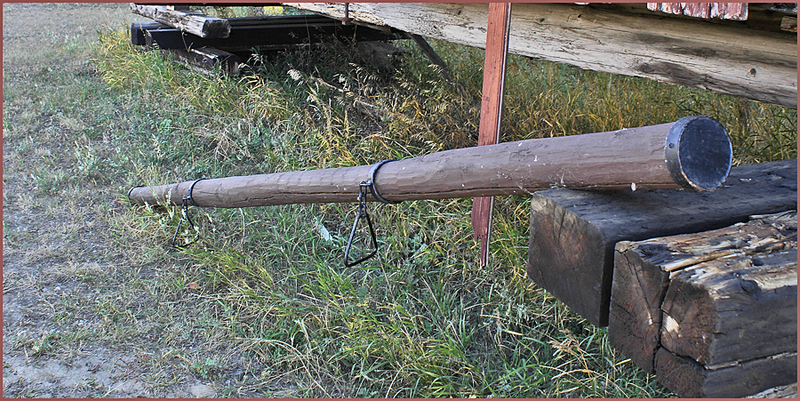 Push Poles came in a variety of configurations, between 8- and 12-feet in length. This push pole is on display at the Saskatchewan Railroad Museum. The hardwood pole is approximately 12 feet long, 5 inches in diameter, and, upon close inspection, has two grab irons for holding the pole in place between the locomotive and the target car. About an inch or two from the end, a metal band prevents splitting with another band located about a foot in from the ends. It was important that the grain of the wood be straight and tight the length of the pole, without knots, for maximum compression strength. Several detailed photographs of a hardwood poling pole are located at "Railfan.net Erie Lackawanna." By definition, a basic "Push Pole Movement" involves the target car to be moved, located on one track, and the locomotive to move the "target car," located on an adjacent track. The Push Pole will transfer energy from the locomotive, through the Push Pole, to move the target car. • The engineer would stop diagonally opposed to the "target" car. • A Trainmen would take the poling bar, usually hung on hooks below the running board, off the locomotive. The pole would be lined up to fit in the poling pocket of the locomotive, and the poling pocket of the target car. • The engineer would then move the locomotive ever so carefully, as the trainman would keep the push pole aligned with the poling pockets, pushing the freight car to the desired location. As we will see in Part II, "Poling" movements were much in vogue in the late 1800's and were developed to its full possibilities by the turn of the Century with dedicated Poling Cars. "Thanks!" also to Joseph Kreiss for providing the photo of the poling pocket he found on a GE 44-ton industrial locomotive. Joseph also moderates an interesting blog. There is a link to it on his professional page. Very interesting! I had heard of "poling" but didn't know much about it. I look forward to the next part.